Denied a checking account? 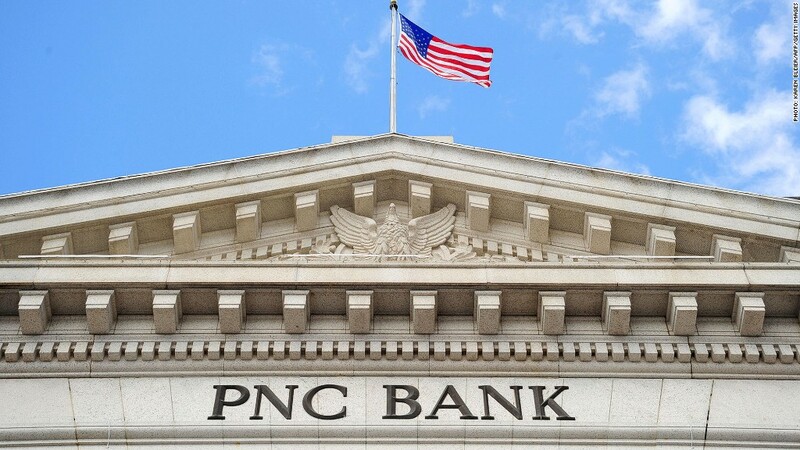 Banks offer a "second chance"
PNC Bank's Foundations checking account requires customers to take a 90-minute money management course. Even if a bad track record is keeping you from opening a regular checking account, some financial institutions may still want to do business with you. Roughly 15% of bank account applicants denied regular accounts are instead offered "second chance" checking accounts or prepaid cards, according to ChexSystems, a company that maintains a database of information on more than 300 million checking account customers. If your bank account was closed in the past five years, say because you bounced too many checks or overdrew your account and didn't repay the money you owed, it will show up on your ChexSystems report. But if you didn't owe a large sum and you eventually paid it back, you might be offered a second chance account. Just be warned: Many of these accounts come with higher fees and restrictions, said John Ulzheimer, CEO of SmartCredit.com. "[The terms are] very consistent with how true credit products are priced -- high risk, higher fees, fewer freedoms and options," said Ulzheimer. "Consumers who would complain about the fees have to recognize that they've earned them, and when your financial service options shrink, the prices go up." You can request a free annual report from ChexSystems and dispute any incorrect information. Otherwise, most negative information will stay on your report for five years. Checking options: If you want an account that lets you pay bills online and deposit checks, a second chance checking account is probably your best option, said Odysseas Papadimitriou, CEO CardHub.com. Chase's (JPM) Access Checking account comes with a mandatory $15 monthly fee -- while its standard account carries a $12 fee that can be avoided by making direct deposits or maintaining a minimum daily balance. Customers can't opt in to overdraft protection with Access Checking either, so any transactions that would overdraw an account will be denied. At PNC Bank (PNC), customers who don't qualify for a standard checking account can enroll in the bank's Foundations checking program. But first, they must take a 90-minute money management course in a branch or with one of PNC's nonprofit partners. "Think of it as a drivers ed for checking accounts," said Ulzheimer. Once they complete the course, customers get an account with a debit card that charges a monthly fee of $5 and a daily withdrawal limit of $100. If the account is managed responsibly for six months, PNC will let them graduate to a standard checking account. Because of the financial education component and relatively low fee, this is one of the best options for customers looking to get back into the banking system, Ulzheimer said. Wells Fargo's (WFC) version of a second chance checking account, Opportunity Checking, comes with a $10 monthly fee that can only be waived with three or more qualifying linked accounts or services (like a debit card or savings accounts), and by either maintaining a $2,000 minimum daily balance or making direct deposits of at least $750 per month. Overdraft protection is optional, and accounts are reviewed quarterly so that qualifying customers can graduate to standard accounts. "[W]e're trying to help more customers enter -- or reenter -- the financial system," a Wells Fargo spokeswoman said. Some customers won't qualify for any checking account -- such as those with a record of fraud or who filed bankruptcy in the previous 12 months. Smaller banks, including BBVA Compass, Woodforest Bank and Liberty Savings Bank, offer second chance accounts to risky customers as well. Prepaid options: The fast-growing prepaid card industry is also offering alternatives to consumers who can't qualify for -- or don't want -- traditional checking accounts. Prepaid cards are reloadable debit cards that aren't linked to traditional bank accounts. Even consumers who have been flagged as a risk by ChexSystems can open them, unless they have a record of fraud. "Particularly for consumers with a history of overdrawing their checking accounts, a low-cost prepaid card can be a suitable alternative," said Greg McBride, senior financial analyst at BankRate.com. With so many new prepaid cards popping up, however, it can be tough to figure out which ones are smart options and which ones will gouge you with fees. Chase's new Liquid prepaid card, which comes with a $4.95 fee and allows customers to deposit checks at branches and ATMs for free, could be a cheaper alternative to some second chance checking accounts, said Papadimitriou. But if you want a full selection of banking options, you must be responsible with your first checking account, said Shirley Inscoe, senior analyst at Aite Group. "People should understand that when they open that first account, they need to handle it responsibly -- otherwise it can have long-term repercussions," she said.